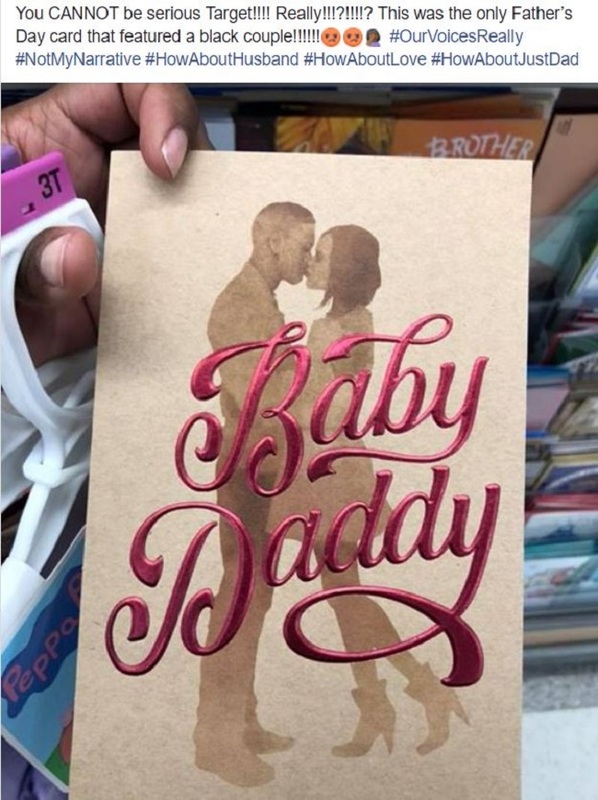 Most people know that the term 'Baby Daddy' refers to a man who fathered children and did not marry their mother, and apparently one Target client wasn't feeling the cards Target put out. One post was aimed directly at target as it read "You CANNOT be serious Target!!!! Really!!!?!!!!?". On the other side, other customers saw the cards as funny rather than offensive but the ones who got angry had the final word when Target apologized to its customers about the off-beat greeting cards it issued, saying: "We appreciate the feedback and apologize. It's never our intent to offend any of our guests with the products we sell."